South African airline, SA Express, has announced that it will resume operations on Thursday, August 23, following the reinstatement of its Air Operator’s Certificate (AOC) and Aircraft Maintenance Organization (AMO) licenses by the South African Civil Aviation Authority (SACAA). The carrier has also received Certificates of Airworthiness for most of its 11 aircraft from SACAA, with the remaining fleet expected to be given the green light soon. “We are delighted that we have now satisfied the concerns that the regulator had, leading to our temporary grounding at the end of May this year. This has paved the way for us to prudently and incrementally reintroduce our flights,” the company’s Interim CEO Siza Mzimela said. “We are coming back stronger, more focused and energized. In this regard, we are determined going forward to set new industry standards for safety, product quality and customer service,” she added. 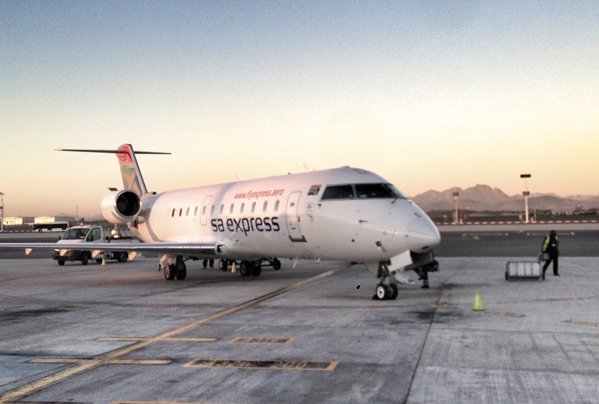 Launched in 1994, South African (SA) Express is a state-owned airline based in South Africa. Although the airline is operationally independent of South African Airways, its flights are incorporated within the strategic alliance with South African Airways. Discover the World Greece & Cyprus is the General Sales Agent (GSA) of South African Airways in Greece.